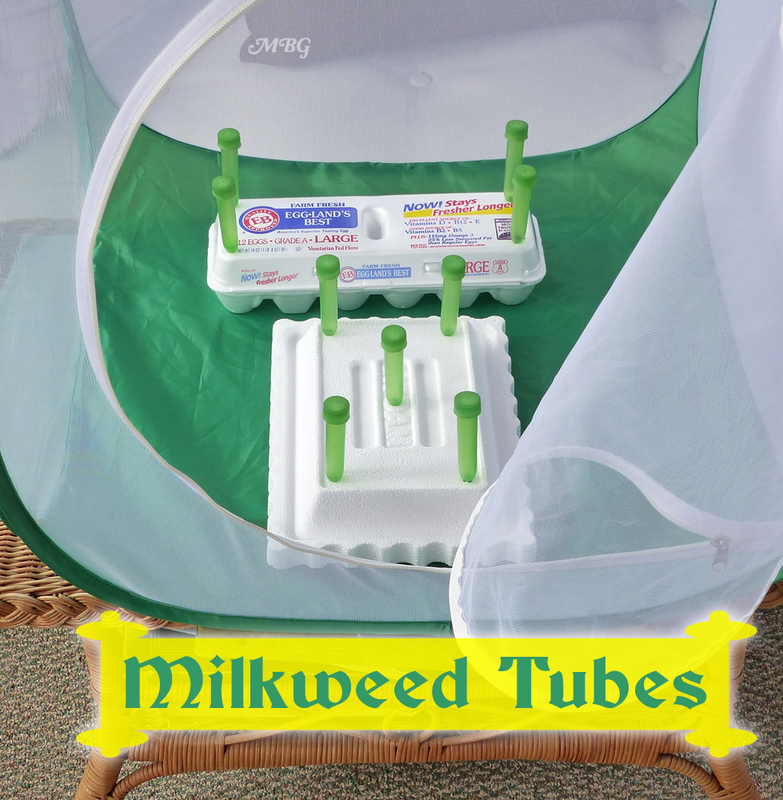 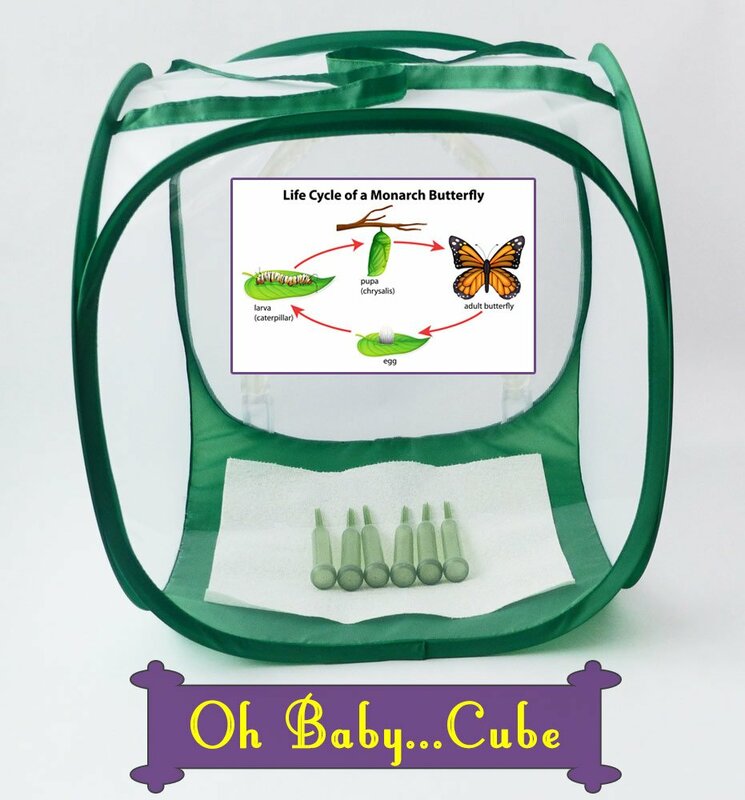 If you’re looking for a high quality monarch butterfly cage to raise monarch butterflies, the Big Cube and Baby Cube Butterfly Cages deserves serious consideration for growing monarchs from tiny eggs to amazing butterflies. 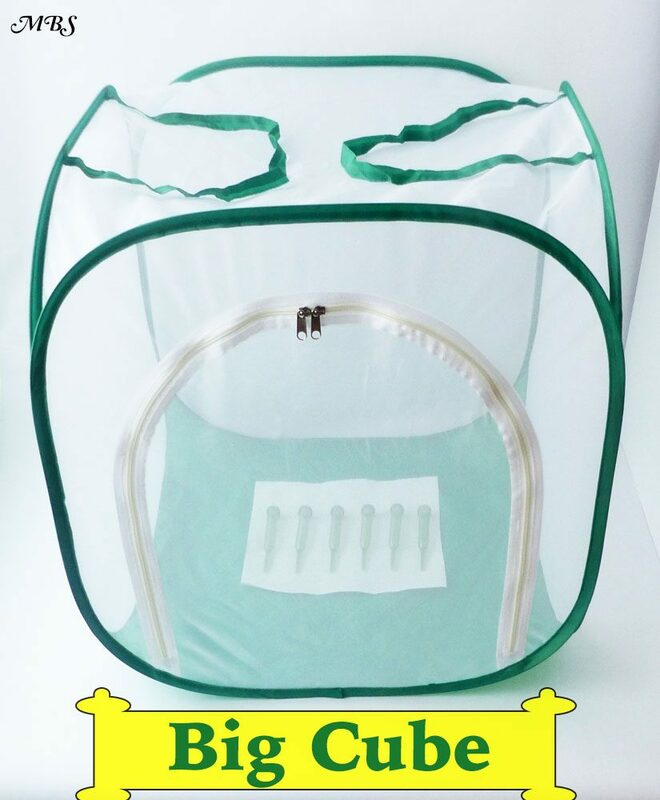 New in 2017– both cages feature our exclusive Drawbridge Door design which allows you to insert/remove milkweed, eggs, caterpillars with the door flap getting in the way. 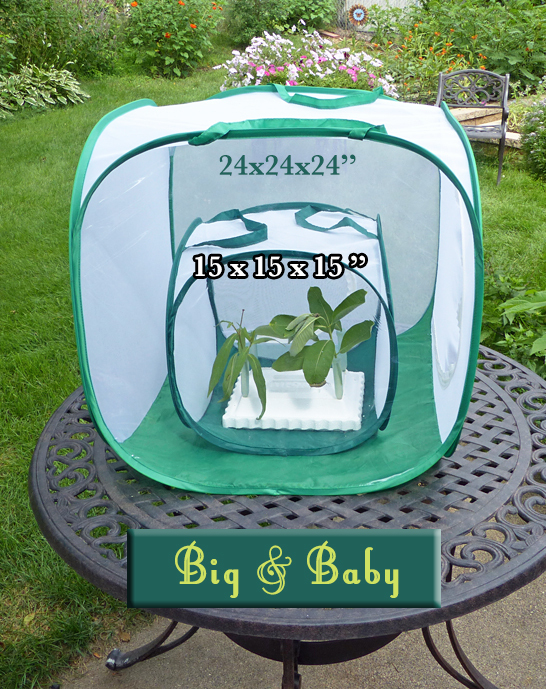 Fine mesh keeps small caterpillars in, deadly predators out!